The burning, lovely, untouchable, and emotional Korean boy band CNBLUE will be returning to the shores of Singapore with their full-fledged concert in April! It sure has been a long time since their last visit here with 2010 LISTEN TO THE CNBLUE in Singapore Fan Meet, do check out the article for a snippet of their live performance! Back with their new mini-album Re:BLUE in January, CNBLUE has achieved numerous music awards, further proving their talent and popularity. If you’re a fan of CNBLUE, don’t miss their upcoming concert, details below! Tickets will go on sale on 1st March via SISTIC: 9AM for internet booking on http://sistic.com.sg and 10AM for SISTIC hotline (+65) 6348-5555 and all SISTIC authorized agents islandwide. More information will be updated as it is released. Listen to CNBLUE in Singapore! Within 20 mins after 9 am today, all Cat4 tickets for 2 and above have gone. Sob sob. Even Cat 5 is not putting up good seats for sale either. Just my luck again and feel sorry for my young daughter who has been wanting to attend their concert since 2010. haiz..Anyway forever giving CNBLUE all best wishes on your tour concert. Fighting !! 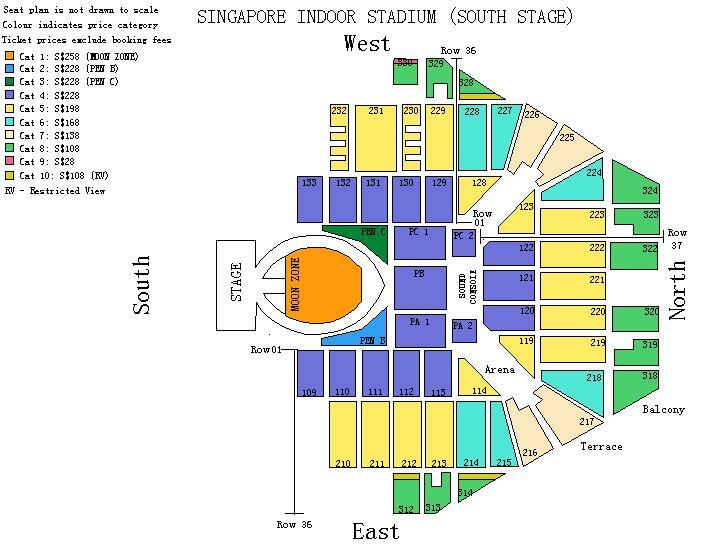 Selling 2 CN Blue tickets, cat 4 block 113, row 10, seat 1 and 2! Selling at original price, $426 for both! Planning to let go 3 (THREE) PEN C tickets @ Singapore Blue Moon concert at original price including sistic surcharge. *TWO ticket Collection from Authorised Agents. *ONE ticket collection from Malaysia/by post.